No matter how many times I stay at the Jannuzzi the breakfasts are always pleasing to the eye as well as the palate. It’s not just the variety and freshness of locally produced food but the ever changing ‘themes’. This is a family run business serving a range of traditional Sorrentine family breakfast dishes. The choice can be influenced by seasonal produce and events, or a special occasion such as a guest’s birthday or anniversary. Authentic ‘home cooked’ dishes are presented together with the typical breakfast buffet selection to offer guests an opportunity to experience the flavours of local produce. Fruits and other seasonal produce are always available including cherries, grapes, lemons, apples, pears, apricots, peaches, strawberries, raspberries, blackberries, figs, chestnuts and more. 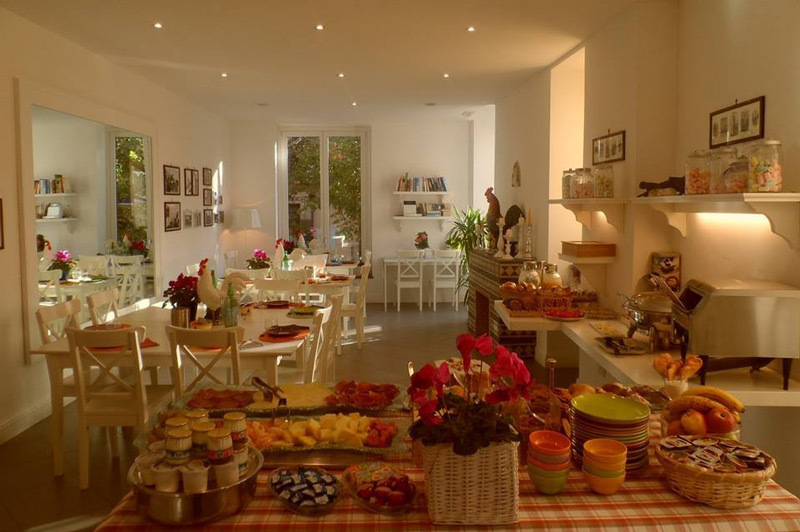 Home cooked bread, cakes and pastries accompany the locally grown tomatoes and salads, fresh mozzarella, eggs and crispy bacon. 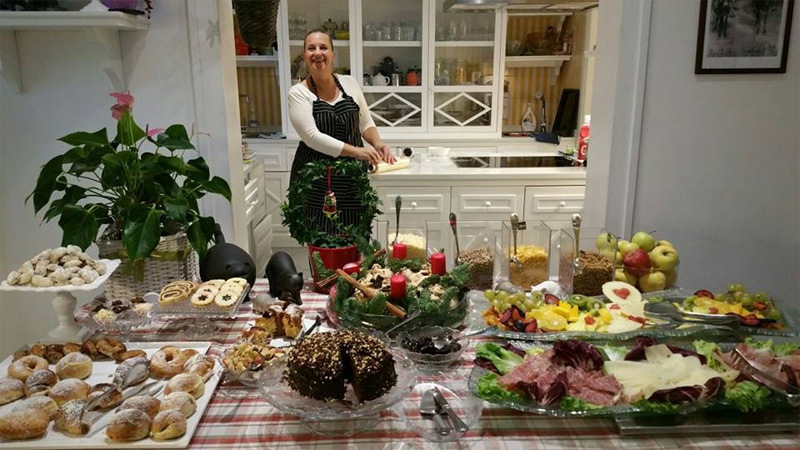 Add to this the creativity and humour of the cooks and you end up with The Jannuzzi Breakfast served every morning in the breakfast room or on the terrace. If you have not managed to book a room you will be pleased to know it’s possible to book just the breakfast, subject to availability. Enjoy! For more information about the Palazzo Jannuzzi click here.